‘I Am Bruce Lee’ tells the amazing story of one of the most iconic human beings ever to enter the public consciousness. Voted as one of the most important people of the 20th century in Time Magazine’s Time 100, as well as one of the Greatest Pop Culture Icons by People Magazine, Bruce Lee continues to be honoured and remembered for his enduring legacy. Bruce Lee’s often revolutionary and sometimes controversial thinking on a multitude of planes has become a source of inspiration and debate for a generation of philosophers, actors, filmmakers and athletes. The film is a compelling and visually stunning uncovering of Bruce’s life, his enormous impact, and his ever-expanding legacy in the world of martial arts, entertainment, and beyond—despite his tragic and sudden death at the age of 32. ‘I Am Bruce Lee’ features interviews with people who knew Bruce intimately, along with a broad array of international icons from the entertainment and athletic fields – people whose lives, careers and belief systems have been forever altered by the legend who UFC President Dana White calls the “Father of Mixed Martial Arts.” Interviews include basketball superstar Kobe Bryant, acclaimed actors Mickey Rourke and Ed O’Neill, world boxing champions Manny Pacquiao and Ray ‘Boom Boom’ Mancini, UFC’s Dana White and world champion Jon Jones, MMA fighters Cung Le and Stephan Bonnar, as well as actress and MMA fighter Gina Carano. Other interviews featured in the film include celebrated writer/director Reginald Hudlin, pop music superstar Taboo, pro skateboarder Paul Rodriguez, Bruce Lee’s daughter Shannon Lee and his wife Linda Lee Cadwell, as well as a host of Bruce’s friends and associates including legendary martial artists Dan Inosanto, Bob Wall and Gene LeBell, in combination with rarely seen archival footage, classic photos, and cutting edge visuals and graphics. The film goes more deeply into the story of this legendary master than ever before. Although Bruce Lee starred in only four and a half quintessential films during his short life that defined martial arts cinema, he was the singular force that introduced martial arts films to the United States and ultimately to the world. His martial arts technique on film is unparalleled and inimitable. His seminal film Enter the Dragon, which was released three weeks after his untimely death, not only became one of the most successful films of all time, it also launched the global martial arts film genre which thrives to this day. Bruce Lee’s impact on the world of martial arts may be even greater. 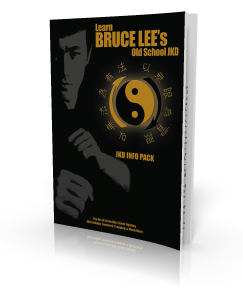 In the face of thousands of years of tradition, Bruce came to realize that being tied to one classical form of martial arts is debilitating, and can create what he called “a mechanical man.” Exploring the martial arts from both East and West, Bruce created his own ever expanding “style”, which he named JKD, the essence of which is to make a martial artist as efficient as possible in combat, allowing the individual artist to “honestly express” oneself. Bruce Lee’s contributions went far beyond martial arts on the silver screen. He read and wrote extensively about physical combat, the psychology of fighting, the philosophical roots of martial arts, and about motivation, self-actualization and liberation of the individual. When Bruce Lee died on July 20, 1973, the entire world mourned the passing of a true renaissance man – a shining star and evolved human being. Bruce Lee’s spirit remains an inspiration to untold numbers of people around the world, and I Am Bruce Lee tells his story in a way never seen before.